Summer is the perfect time for kids to explore their creative sides! 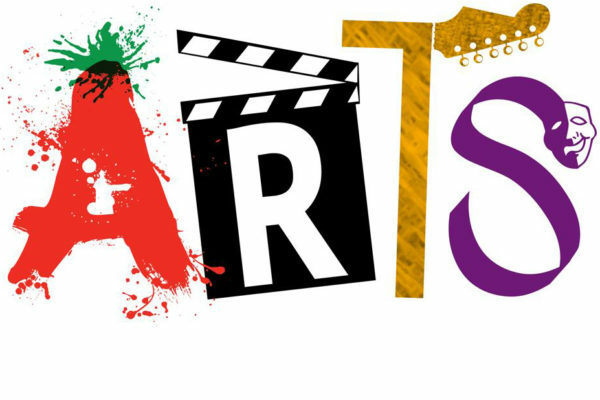 There is a plethora of art, singing, instrumental, cooking, pottery, sewing, dance, writing, and theater summer camps around. I originally posted this camp list two years ago, and update it each year. I am also updating my posts on STEM/nature/animal camps, social studies and language camps, special needs and preschool camps, and day camps. And, again, if you have others you recommend, please put them in the comment section. Enjoy, and get creative! June 24-July 19; 45-minute morning class (time depends on the age level). Grades 1-3 (Theme: All Things Summer!) and grades 4-12 (Theme: Ode to the Wolves)..
Weekly camps on various media and creative practices, including printmaking, comic book l=illustration, ceramics, carving, jewelry design, weaving, and digital arts.. 10am-3pm. Grades K-12. Also offers Summer Saturday camps for ages 5-9. Weekly classes, usually 1.5 hours per day. Ages 3 1/2-teens. Various art offerings, including digital painting, laser-cutting, fabric and fashion, and Claymation and animation. Day camp with various enrichment offerings in the arts (drawing, painting, fashion, graphic, writing) and sciences. Weekly camps from mid-June through the end of August. Full and half-day options. Kids learn to cook a starter, main dish, and dessert each day. Weekly 2-day sessions for ages 7-10 (10am-12:30pm) and ages 11-17 (2pm-4:30pm). One of the offerings is Look and Cook for grades 3-8. One-week mini clinics for ages 3-6. 10am-12pm. Celebrate Summer Fun Dance & Theater (3 hours); Ballet & Tap; Hip Hop/Musical Theatre; Fun Dance & Theatre. Similar weekly clinics for ages 4-6 include Show Production component, and are from 10am-2pm. Summer dance, dance workshops, samplers, and intensive programs in July and August. Dance Intensive Camp & Acting (Grades 2-12). Time depends on age..
June 24-July 19; Grades 4-12.. 30-minute to one hour lessons a few times a week, plus group practice time in strings, percussion, brass, or guitar. Write and produce songs and music videos (instrumental or singing). Three camp options, 1, 3, or 6 weeks long. 10am-3pm. Grades 4-12. Two-week summer camp for high school students. July 15-18, 22-25. Courses offered: Audio Engineering/Sound Recording, Composition/Song Writing, Jazz Improvisation, Keyboard Skills. 10am-1pm. Various songwriting and performance camps for ages 3 1/2 through 18. New Jersey Youth Symphony summer camps include orchestral camp (grades 5-10), symphony junior winds camp (grades 4-10), and jazz workshop (grades 7-12, or entering grade 6 with at least 1 year experience). .
New Jersey Jazz Academy (Grades 7-12). Just Strings Camp (must have at least 2 years playing experience). Jump-Start Instrumental Camp (first year school instrument students); Jump Start Piano camp..
Weekly themed handbuilding camps for ages 7 and up from 9am-12pm. Weekly pottery wheel camps for ages 12+ from 1pm-4pm. Ages 7-18. Weekly camps; students make a different garment each week.. Check Web site for dates and times. fabric & Fashion camp for grades 4-7. Dates vary depending on location. One week camp, 9am-3pm. Fiber Arts Camp (ages 5-12) includes hand sewing, embroidery, knitting, and felting. Fashion and Machine Sewing Camp (ages 9-14). CIT Leadership Program for ages 14-16 also available. Creative arts studio for special needs kids. Visit Web site for camp info. Mary Poppins Camp, August 5-9, 10am-3:30pm. Witches of Oz Camp, Aug 12-23, 10am-3:30pm. Singing, improvisation, games, dance, performance. Check Web site for current dates. Musical theater and acting camps for kids. Three 2-week long sessions. 9am-3pm. Grades K-12. Acting Onstage Camp (Grades 2-12). Acting for the Camera Camp (Grades 2-12). Broadway Beginners Camp (Ages 3-5). Various musical theater, acting, and dancing camp options. Weekly camps with 2-week camp minimum. Can be in show if do 4 weeks or more. Half-day (9am-1pm) and full-day (9am-4pm) options. Ages 5+. Various classes in dance and musical theater. Also, summer production, which rehearses early June through early August. Check back on Web site for details. Junior Shakespeare Corps, June 25-July 7, or July 16-28. 1pm-6pm. Ages 10-14. Senior Shakespeare Corps, June 25-July 14. 1pm-6pm. Ages 14-18. Young Shakespeareans, July 30-Aug 12. Ages 14-18. Shakespeare Summer Sampler, July 23-27. 1pm-6pm. Grades 7+. One, two, or three weeks of intensive theatre training camp, with each week a different theme: Broadway Cabaret Performance, Audition Skills, Mean Girls, and Greatest Showman. June 24-July 12.; 9am-3:30pm. Ages 9-18. Also a separate two-week Les Miserables themed camp, July 15-26. Required auditions held March 26. June 24-July 13 for ages 10-15. Mini Camp runs June 24-28 for ages 7-9. Check Web site for current offerings. One- and two-week Creative Academy Summer Camp sessions. 9:30am-12:30pm. Classes include performance, improvisation, playwriting, and musical performance. Grades K-12. Also, Summer Youth Theatre productions (free to participate): ages 14-24 for the Senior Show; ages 8-13 for the Junior show. Performing arts school offers theater, musical theater, and drama camps. Writing clinics and literature workshops in the Academic Summer sessions.